You can’t go far in Ireland without catching a glimpse of a castle. With more than 30,000 castles in the country, it’s almost impossible to see them all. 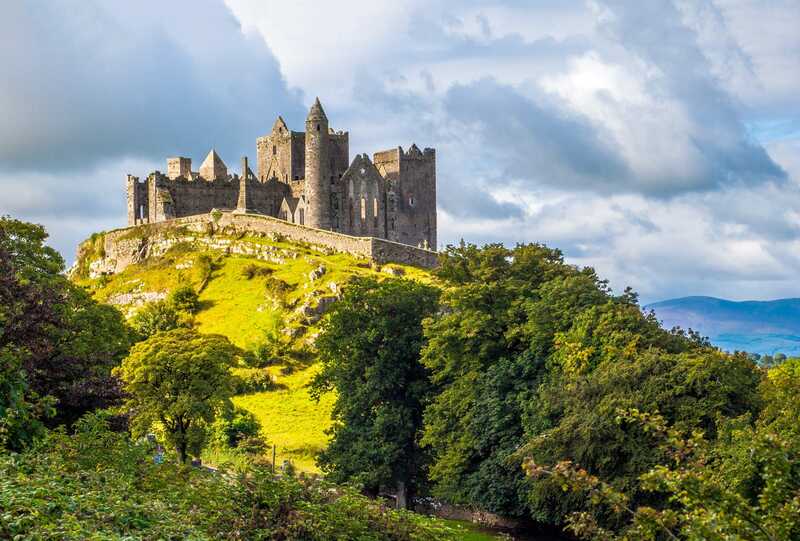 We’ve narrowed the list down to the greatest castles in Ireland so you know which ones to stop by and which ones to roll past. And what’s more, if you ever want to do more than just stop by, you could also spend the night in one of Ireland’s Castle Hotels. Consistently ranked as one of the best places to visit in Ireland, you absolutely cannot miss Blarney Castle. 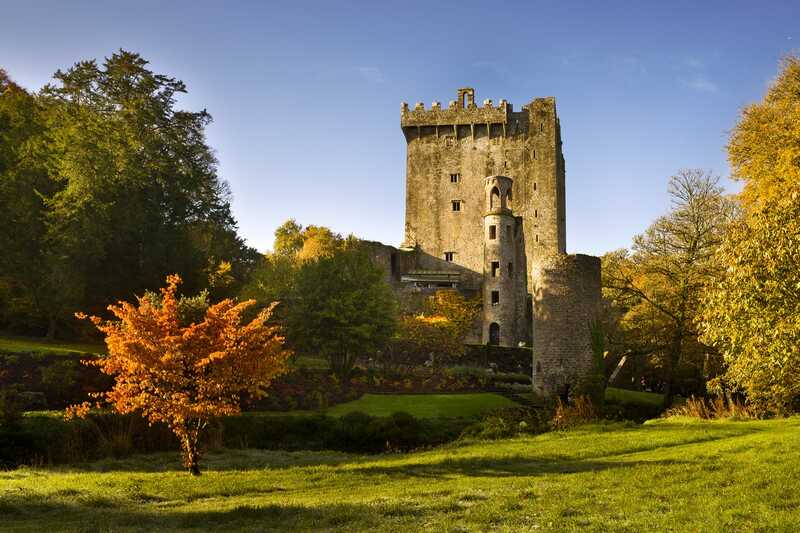 Dating back to 1446, thousands of tourists make their way here each year to kiss the renowned Blarney Stone. Rumor has it if you climb the 10 stories to the top then hang upside down to kiss the stone you’ll be fortunate enough to get the gift of eloquence. Once you’ve kissed the stone and explored the castle be sure to take some time to admire the 60-acre floral garden. The fourth castle to be built on this site, Bunratty Castle sits on a 970 AD ancient Viking trading camp. The castle was opened to the public in 1960, and a tour around the castle shows off art, furniture, and tapestries from the 15th century. You can also take part in a traditional medieval feast, where you’ll be served all types of deliciousness like turkey legs, potato soup, goblets of mulled mead, and fresh bread by women in medieval gowns. 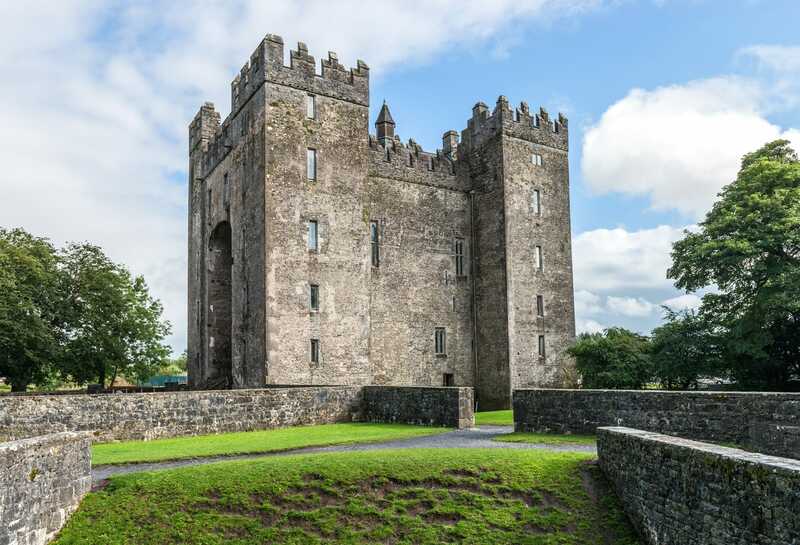 For a true medieval experience, Bunratty is one of the best castles to visit in Ireland. 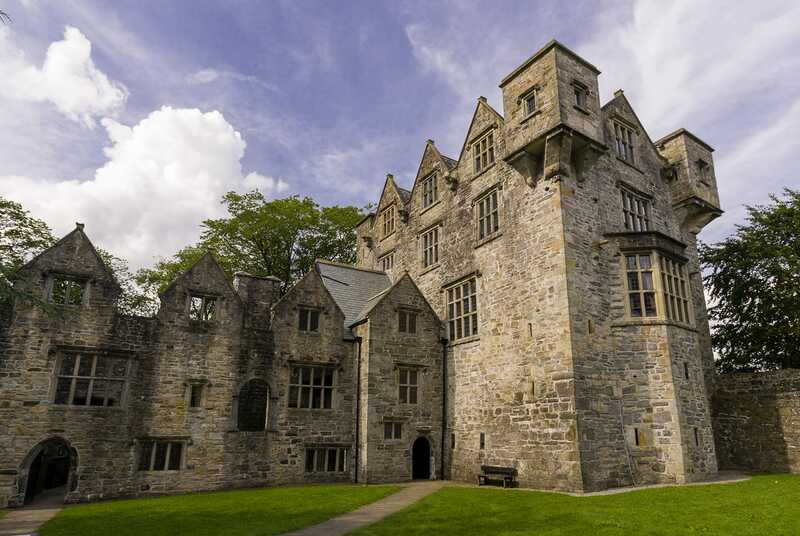 Cahir Castles is easily one of the best Irish castles. You can still see the defense structures, keep, and tower that have remained intact since its construction in 1142; and if you head to the northeast tower you can see the cannonball that’s been stuck in the wall since the Nine Years’ War. 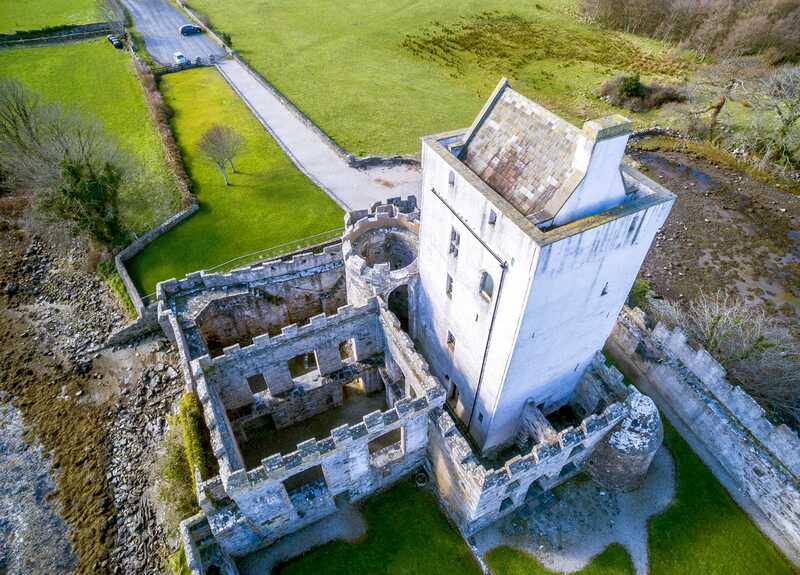 While you’re exploring the castle, check out the amazing countryside views from the top of Cahir Tower, and catch a 15-minute film that teaches about the function of Ireland’s fortresses. If you’ve always wanted to stay in a castle in Ireland, then Ashford Castle is ready to make your dreams come true. Built in 1228, this Victorian castle has been expanded upon several times and is now both a five-star luxury hotel and a popular wedding venue. Outside you’ll see the gorgeously manicured lawns while inside you’ll be wowed by the spectacular gold interior. The castle has also hosted its fair share of celebrities from US President Ronald Reagan and John Wayne to England’s King George V and John Lennon. If you too want to live like royalty (at least for a day or two :D) make sure to book a stay at Ashford Castle, one of the best castle hotels in Ireland. 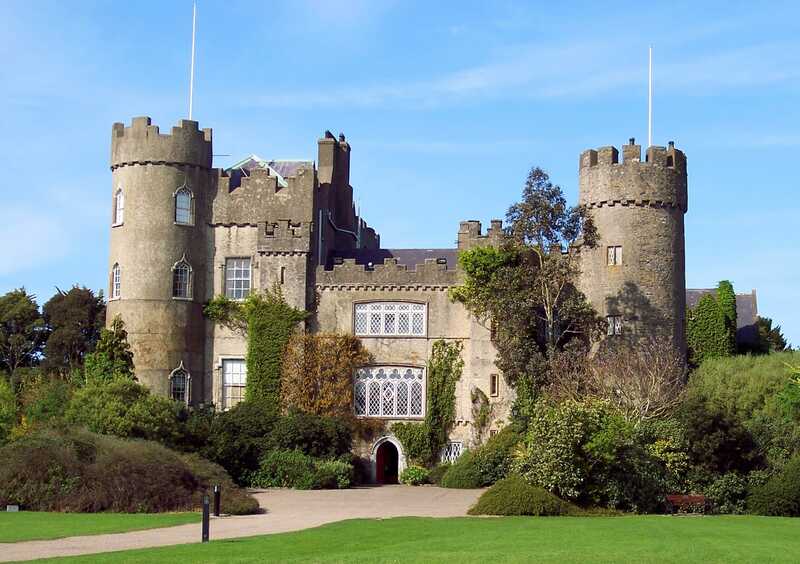 Once you’ve experienced the best of Dublin, head nine miles north to the 12th-century Malahide Castle. In addition to the castle and gardens, the parklands are full of things to do for the whole family. A tour of the castle will give you glimpses of beautiful rooms like the Oak Room and the Gothic Great Hall as well as a substantial painting collection and gorgeous period furniture. After you’ve toured the castle, take your pick of everything from shopping around the museum shop and retail store to exploring the walled Talbot Botanic Gardens or taking a bicycle tour. Home to an extensive collection of medieval architecture and Celtic art, this enormous compex has everything you could want in a castle experience. Along with the 90-foot round tower dating back to 1100, some of the other structures you’ll see are the 12th-century Cormac’s Chapel that’s home to one of the period’s best-preserved Irish frescos and the 13th-century cathedral. Said to have a ghost roaming the halls, this 15th-century castle is loaded with historic myths that you’ll be sure to hear about on your guided tour. 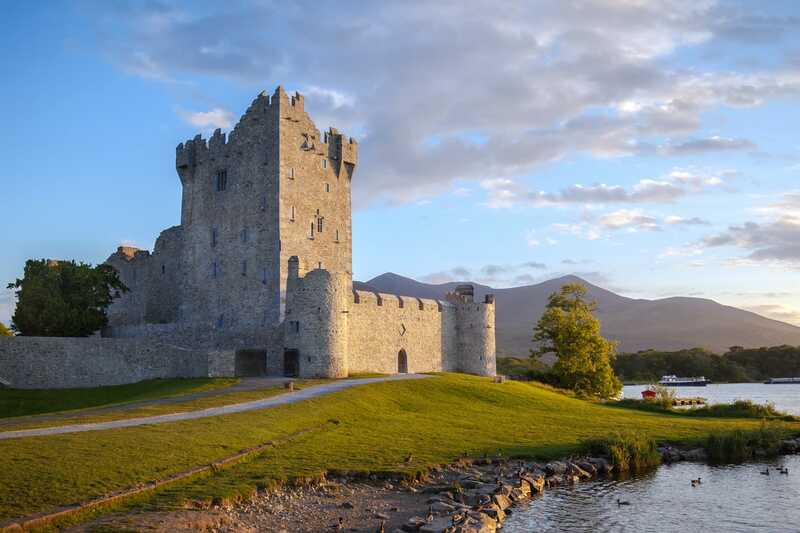 Ross Castle is also known as one of the last significant strongholds to fall to Cromwell’s forces in the 1650s. 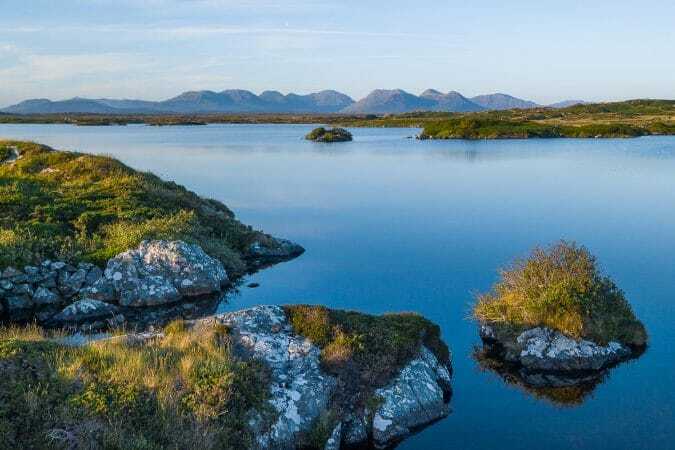 Along with touring the castle and wandering around the grounds, you can even take a boat ride around the Lakes of Killarney and to Innisfallen Island. Completed in 1213, this Anglo-Norman stone castle has become one of the most famous castles in Ireland. 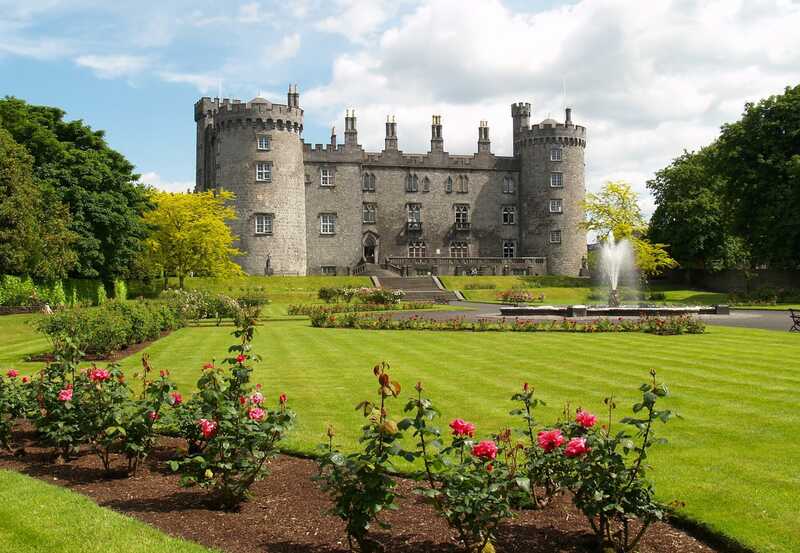 Kilkenny Castle has lasted through many changes and expansions, but it’s a must-see because part of the National Art Gallery is on display here, and its beautiful ornamental gardens. Located on a bend along the River Eske, the castle was built in 1474 by one of the most powerful Gaelic families in Ireland at the time, the O’Donnells. It was once said to be one of the finest Gaelic castles in Ireland, but because of the Nine Years’ War it was nearly destroyed. Soon after its attempted destruction by the O’Donnells, English Captain Sir Basil Brooke quickly rebuilt the castle in a Jacobean style and today it’s surrounded by a 17th-century boundary wall. 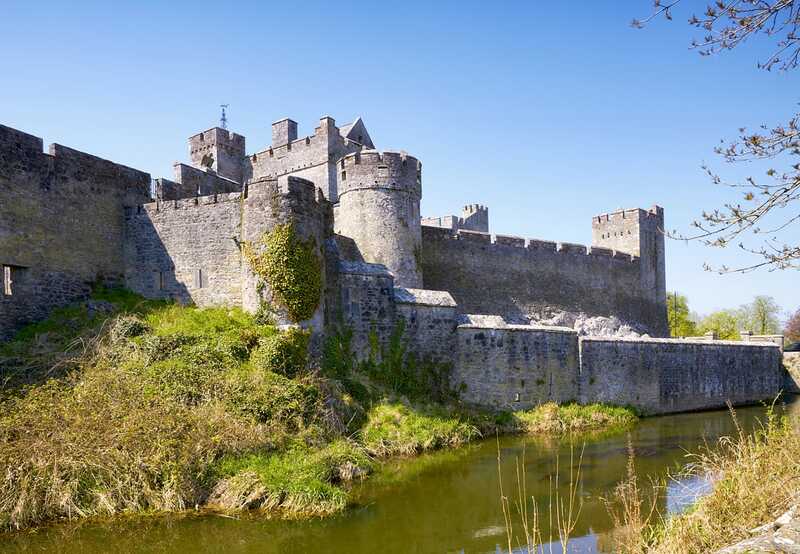 Created to be a defensive fortification in 1204, today its a conference center, government complex, and it highlights the best castles of Ireland. 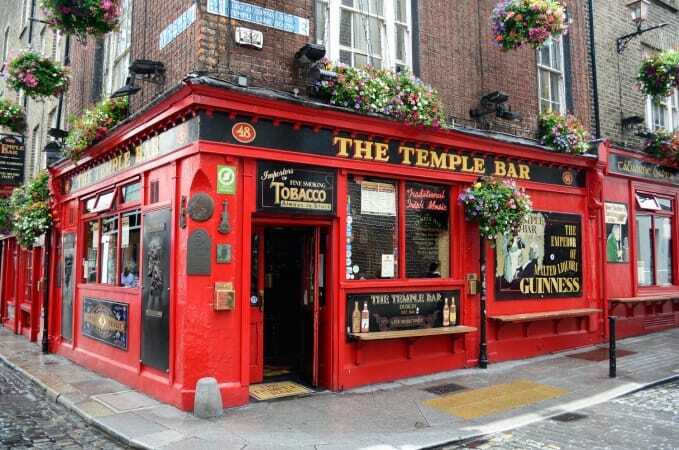 When you take a tour, you’ll be guided through the medieval Dublin and Viking excavation site, the former viceregal State Apartments, and the Gothic Chapel Royal famous for its galleries and vaulting. 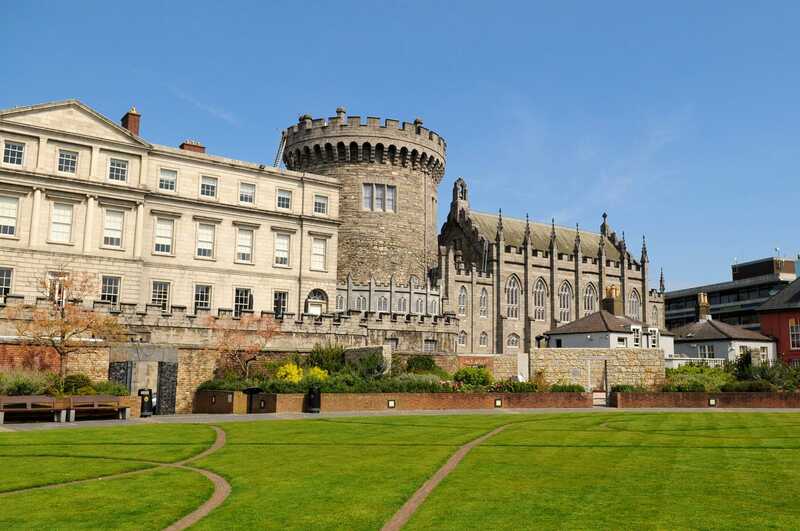 Right near many of Dublin’s best hostels and hotels, it should be a super easy walk to the castle if you’re staying in the city. Because it’s home to Brendan Parsons, the 7th Earl of Rosse, the castle’s residential areas aren’t always open to the public, but the gardens and grounds are full of beautiful and historic sights. Guided tours through this 11th-century fortress are only available from May through August and allow you to see furniture, tapestries, and treasures throughout the home. 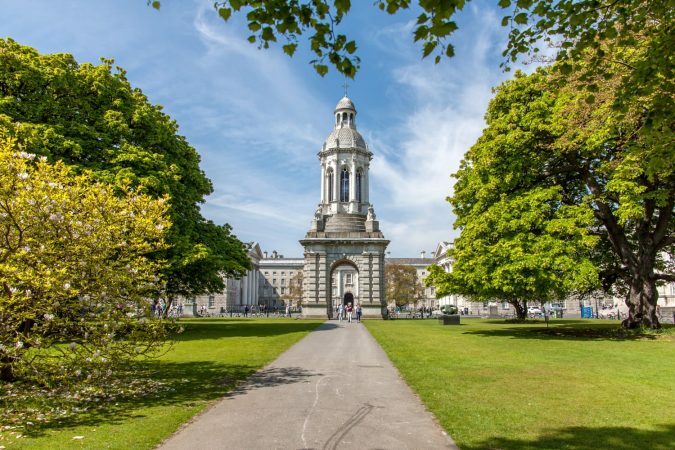 The grounds are home to Ireland’s Historic Science Centre, the “Great Telescope” (the world’s largest telescope from 1845 to 1917), Ireland’s oldest wrought-iron bridge, and what’s believed to be the world’s oldest photography darkroom. A stroll through the award-winning gardens lets you see rare trees, a variety of flowers, wildlife, and the tallest box hedges in the world. Because of everything you can see on the castle grounds, Birr is a lock for being one of the best castles in Ireland. 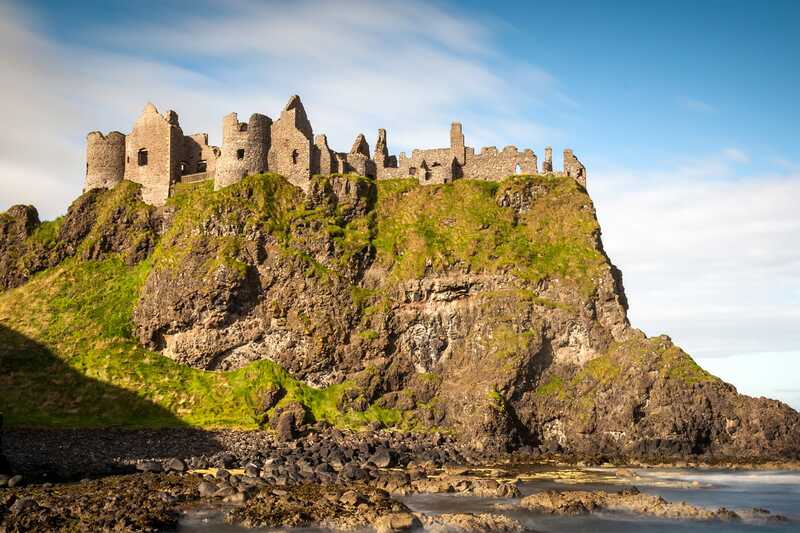 When you cross the narrow bridge to visit Dunluce, get ready to discover one of the best castles in Northern Ireland. Once a popular site for early Christians and Vikings, steep cliffs surround this castle on three sides. With the original castle dating back to around the 13th century, a guided tour takes you through the ruins that are mainly from the 16th and 17th centuries. If you happened to miss the guided tour, there’s a mobile app you can download that will start you off with an overview video before taking you on an interactive tour through the castle. For the perfect close to an evening, stay to watch the sun set behind the towers. While some know about Trim Castle because of the movie Braveheart, others know it as one of the most beautiful castles in Ireland. 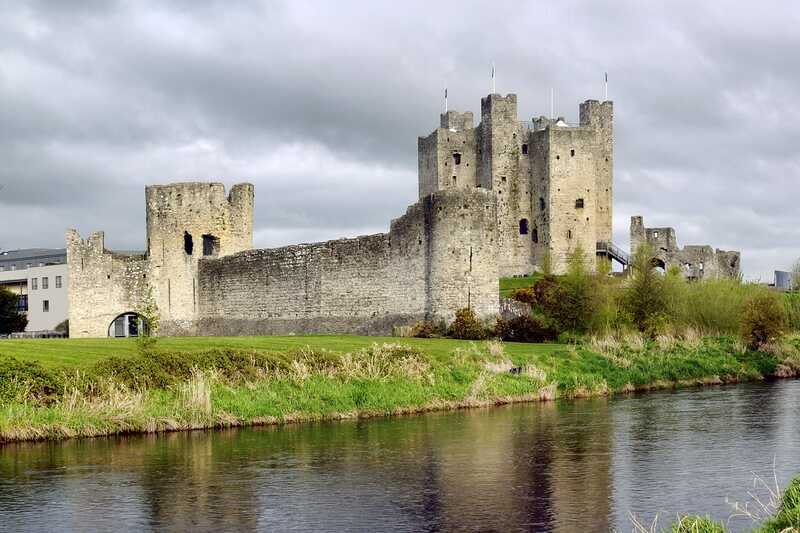 Construction on Trim Castle began in 1174, and today it’s Ireland’s largest Cambro-Norman castle, measuring a massive 30,000 m². 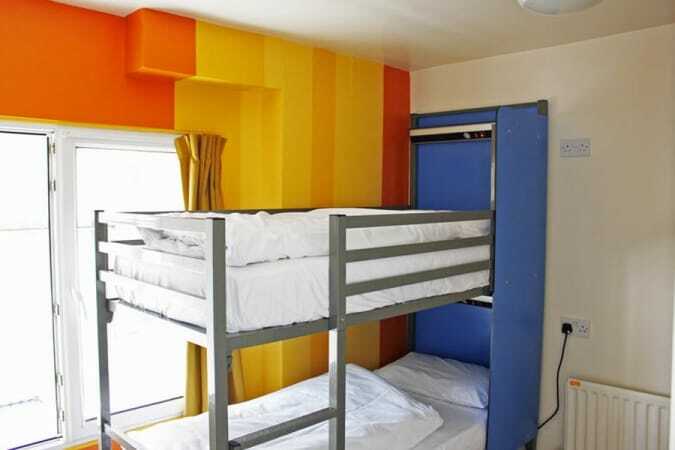 You can opt for a guided tour of the three-story keep or you can wander around the grounds yourself to check out the 13th-century great hall, lime kilns dating between the 12th and 19th centuries, a defensive tower, and several other surviving structures. 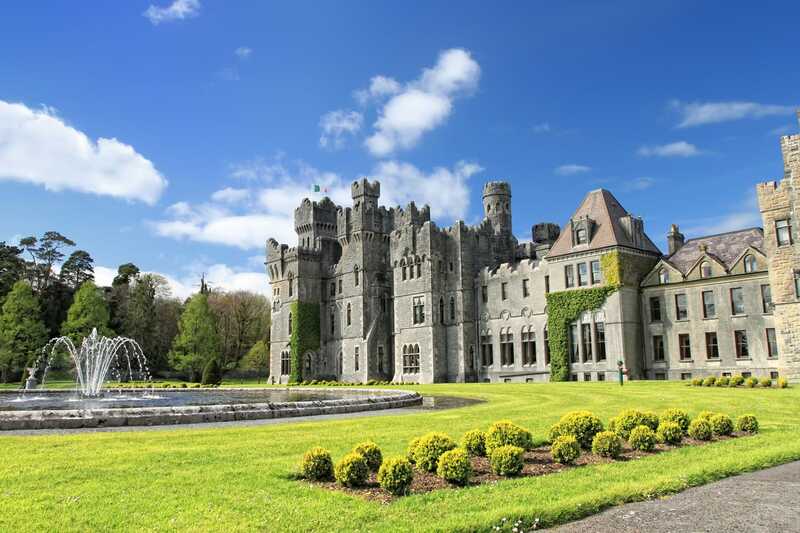 Starting as only a tower house built between the 15th and 16th centuries, Dromoland Castle has morphed into a five-star luxury hotel with a Michelin-star restaurant and a golf course. This Gothic Revival-style castle has four connected castellated turrets and can offer visitors stunning water and garden views. 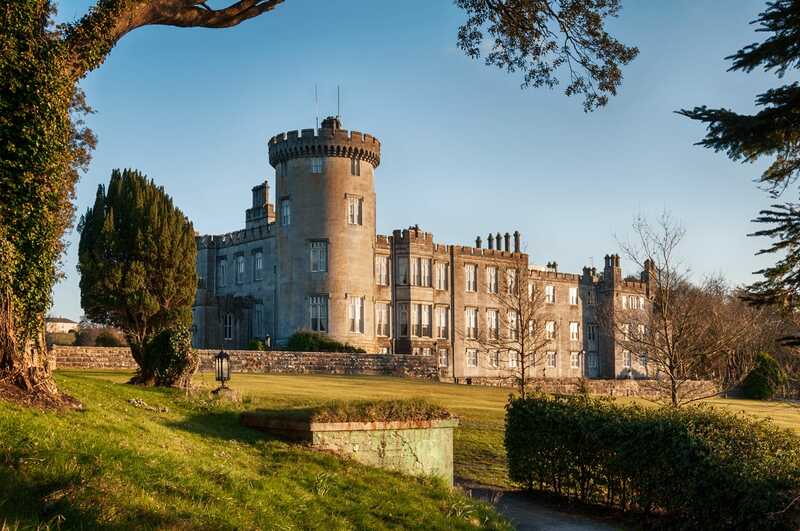 Previously visited by several US presidents (Bill Clinton and George W. Bush) and other internationally-renowned figures like Nelson Mandela and Muhammad Ali, it’s clear that Dromoland deserves its place on the list of the best Irish castles. Built in 1185 by England’s King John, the Gothic-style castle is now the Irish home of the Duke of Devonshire. While the castle isn’t open to the public, the gardens are the real show-stopper. Rhododendrons, camellias, magnolias, and spring flowering bulbs bring an amazing beauty to the gardens. Divided into two parts, the upper garden is a 17th-century walled garden that’s Ireland’s oldest formal garden while the lower garden is a more informal 19th-century garden with lawns, trees, and shrubs. 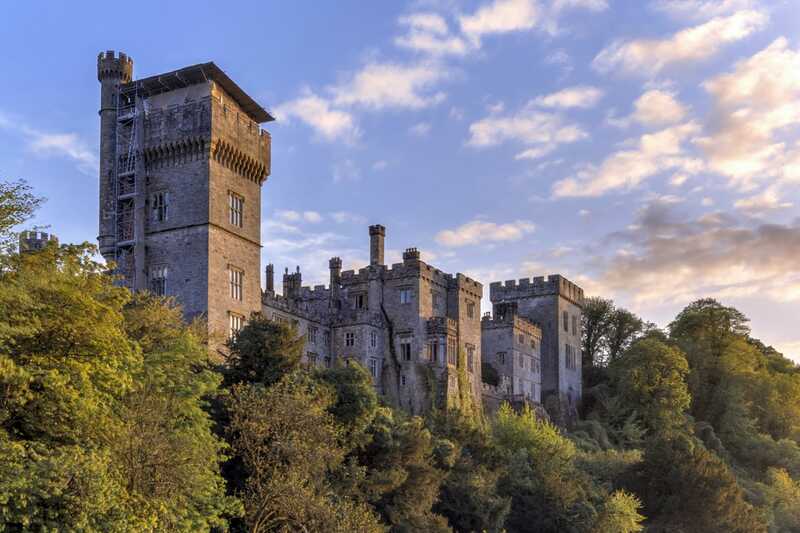 Admission to the gardens even lets you see Lismore Castle Arts, a contemporary art gallery. 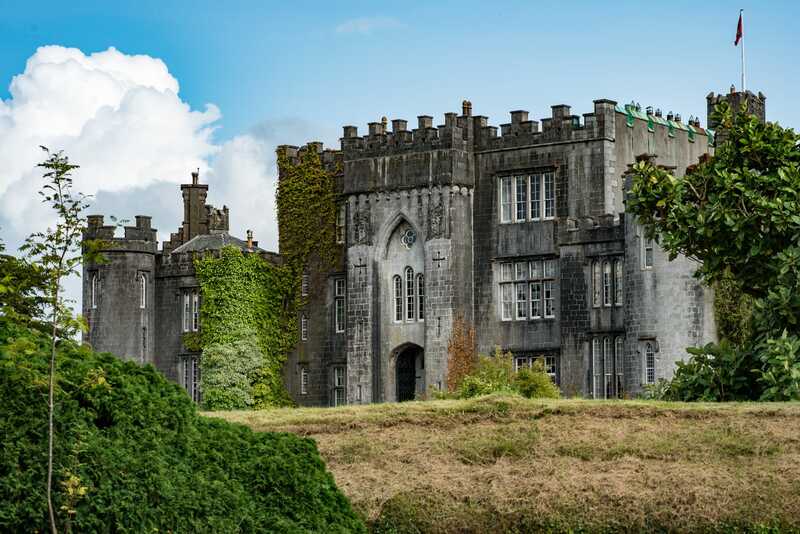 If you’re really dying to stay in a castle in Ireland, you can rent out the space for as many as 27 guests and be served by the Duke’s butler and his team. Built in 1520 by the Hynes Clan, Dunguaire has become the most photographed castle in the country. The grounds are open during the summer so you can see the impressive 75-foot tower and its defensive walls. While the grounds are gorgeous, you’ll also absolutely love its backdrop as the castle sits on the shores of Galway Bay. Enniskillen Castles has been an important site all throughout history, it guarded one of the few passes into Ulster and also served as military barracks and an English garrison fort. Today, this 16th-century castle houses the Fermanagh County Museum and the Inniskillings Museum. 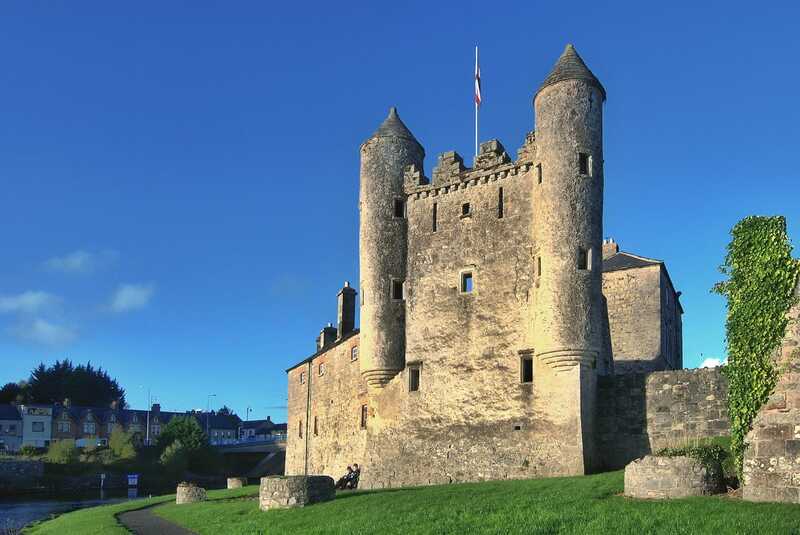 As you learn about the history of the county in the Fermanagh County Museum and marvel at the military memorabilia in the Inniskillings Museum, you’ll see why history lovers all around agree with Enniskillen being among the best castles in Northern Ireland. 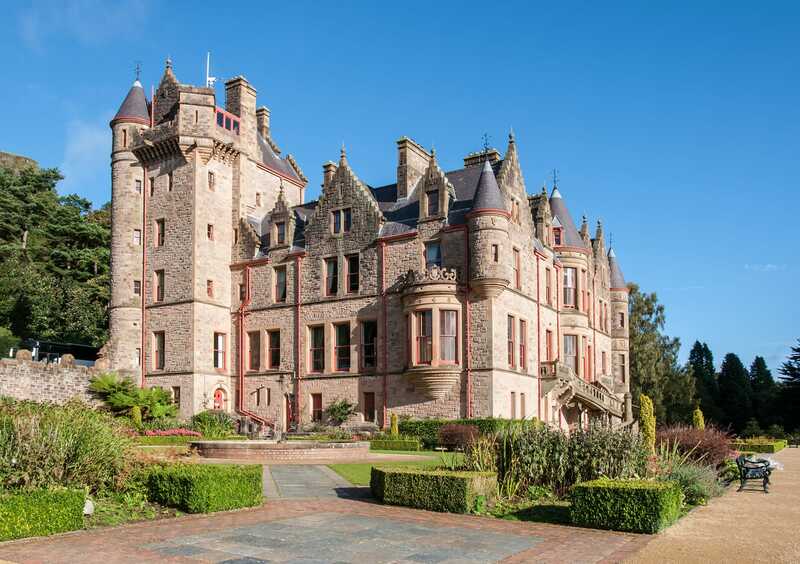 The Belfast Castle sits 400 feet above sea level and is well-known for amazing views of Belfast and Belfast Lough. The current building was finished in 1870 and boasts Scottish Baronial architecture. After undergoing a 10-year, £2 million renovation, the castle was reopened in 1988. Today, the grounds house a visitors’ center, antique shop, and restaurant; you can even book the venue for different types of events. This 40,000 ft2 castle took 100 men four years to complete. Originally built for English Parliament member Mitchell Henry and his family in 1867, the castle initially had more than 70 rooms and has a granite facade that’s 142 feet wide. 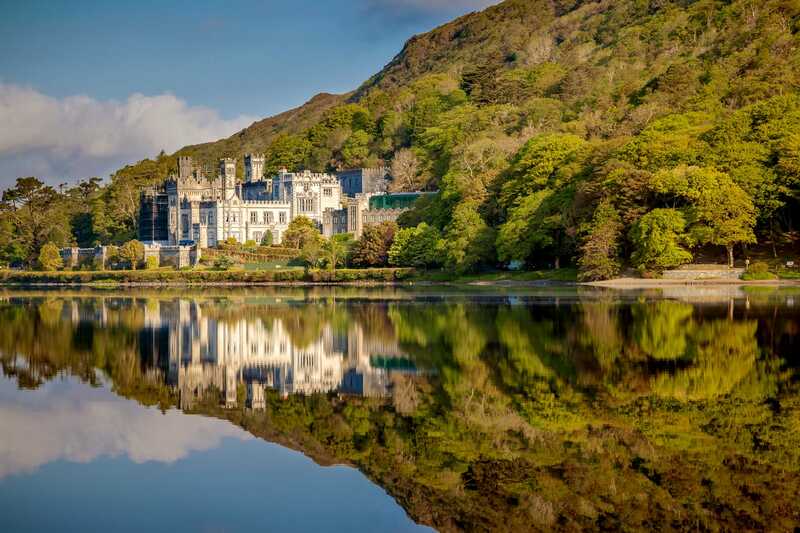 Also on the property are a Gothic cathedral, the family mausoleum, Kylemore Abbey (a Benedictine monastery), and Ireland’s largest walled garden. History talks are given in the abbey three times a day and you can tour the walled garden throughout the summer. If you’re looking for a one-of-a-kind gift while you’re there, be sure to stop by the abbey’s craft and design shop for everything from award-winning handmade chocolate to unique pottery. Considered to be the safest and strongest castle of its time, Doe is an amazing sight to see. Built on a peninsula and surrounded by water on three sides, it nearly looks like it’s floating. While its four-story tower can be seen from afar, you’ll only notice its true rustic charm as you get closer. Admission to the grounds is free, but you’ll have to take a guided tour to experience the tower house. Once the stronghold of the MacSweeney Clan, Doe Castle is now one of the coolest looking castles around. 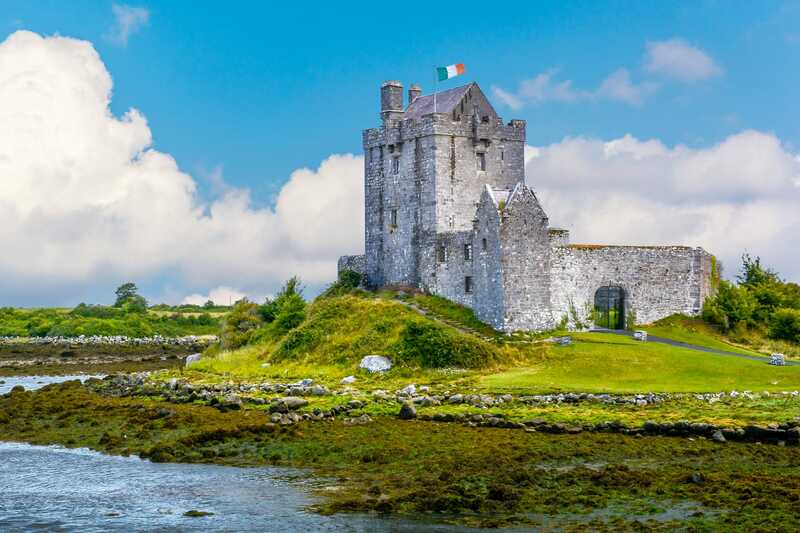 From castle ruins to five-star castle hotels and everything in between, Ireland’s castles have more than enough interesting history and architecture for a fascinating adventure.